Written by famed composer Sir Andrew Lloyd Weber and based on T.S. Eliot's ‘Old Possum's Book of Practical Cats,’ this long running musical remains a favorite with audiences nationwide. 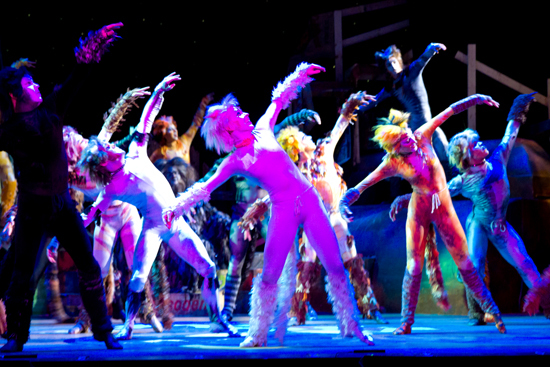 CATS tells the story of the Jellicles, a tribe of cats who assemble for their annual junkyard ball where they announce the cat that will be reborn. 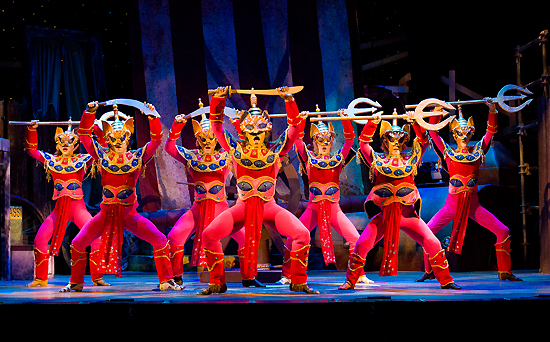 The show's appeal is clearly universal, as it has been translated into over 20 languages. 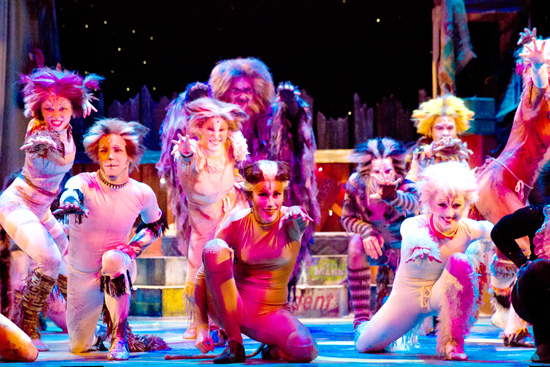 As time has proven, CATS is truly now and forever. Click on the photos to download a high resolution image. Peter S. Adams* (Old Deuteronomy) is happy to be returning to Theatre by the Sea for another season. He last appeared here as Captain Hook in Peter Pan. He toured Canada and the United States in the role of Father in the National Tour of Ragtime (2001-2002). He received Boston IRNE nominations for his role as The Engineer in Miss Saigon and Peron in Evita. Other recent roles include, Brian in the NY staged reading of the new musical Static featuring Celia Keenan Bolger, Max in Sunset Boulevard, Callahan in Legally Blonde, and Hector in The History Boys. Later this year, Peter will play Sweeney Todd in Sweeney Todd at Next Door Theatre, and return to the Hanover Theatre for his fifth season playing The Ghost of Christmas present in their annual production of A Christmas Carol. Felipe Barbosa Bombonato (Gus, Growltiger, Bustopher Jones) is very excited to be back in the junkyard! A recent University of Florida grad, he is very happy and fortunate to be able to do what he loves (go Gators)! Past favorite credits include Eddie/Dr. Scott in Rocky Horror Show, East/Chad in Almost, Maine, vocal swing National Tour CATS, and Monostatos in The Magic Flute. He sends many thanks to Richard Stafford for believing in him, the cast and crew for endless talents, and the wonderful Theatre by the Sea family for this opportunity. He would also like to thank his amazing family for believing in him (beijos e pepinos mil!! ), his amazing girlfriend for all the wrinkles from all the laughs, and God, for without Him, we are nothing. 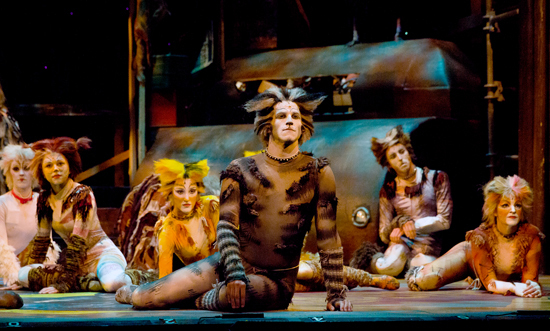 Jeremy Bensussan (Plato, Macavity) earned his BFA from the University of Minnesota. He is a freelance concert dancer across the Twin Cities including Minnesota Dance Theater and The Flying Foot Forum. He also has danced for Dusan Tynek Dance Company and The Bang Group in NYC. He has performed works by Jiri Kylian, Hope Boykin, Jose Limon, and Anna Sokolow. Musical Theater credits include Heaven (The Guthrie), French Twist (The Guthrie), Between The Fire And Ice (Walker Art Center), Fiddler On The Roof (Westchester Broadway Theatre), 9 to 5 (La Comedia Dinner Theater), and Annie Get Your Gun (The Fireside Theatre). He was a soloist for MN Opera's Wuthering Heights (The Ordway). 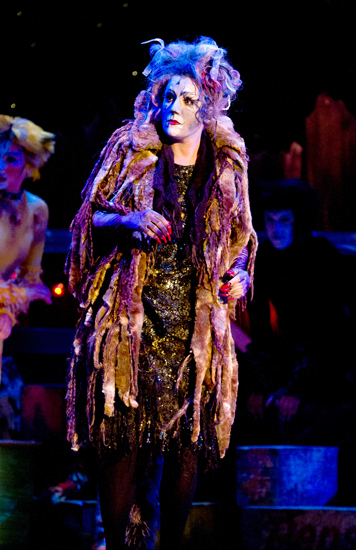 Katy Blake* (Grizabella) is thrilled to be singing one of her favorite songs in musical theatre at TBTS! Nat'l tours: Eva in Evita, Christine in The Phantom of the Opera, Mamma Mia!, Whistle Down the Wind (World premiere, dir. Hal Prince). Off Broadway/Regional: York Theatre, Ensemble Studio theatre, NYMF productions, created the role of Pam in CATCO's and Off-Broadway's The Last Smoker in America, and the role of Sirroco in the Pasadena Playhouse production of Mask (dir. Richard Maltby, Jr.), Hollywood Bowl in South Pacific with Reba McEntyre. Country music singer/songwriter. Love and thanks to Barry, Mom, and Dad. www.katyblake.com. Craig Donnelly (Mistofelees) is so excited to be back in the junkyard and playing one of his dream roles! 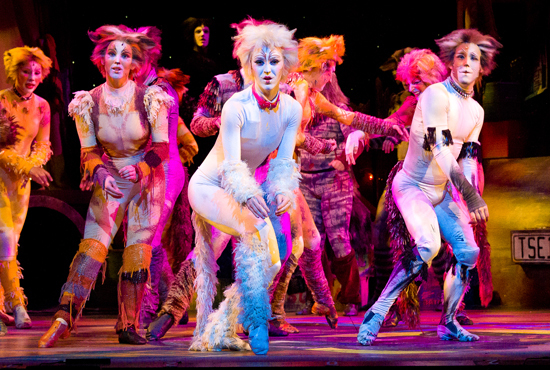 Tour credits include A Chorus Line (Roy) and CATS (Swing). Favorite regional theater credits are West Side Story (Indio), Tarzan (Flying Ape), Crazy For You (Pete), She Loves Me, Oklahoma! & Seussical the Musical. He would like to extend his gratitude to Richard and everyone at Theatre By The Sea for this amazing opportunity. He would also like to thank to his family and friends for their unconditional love and support. Laura Elizabeth Henning (Cassandra). 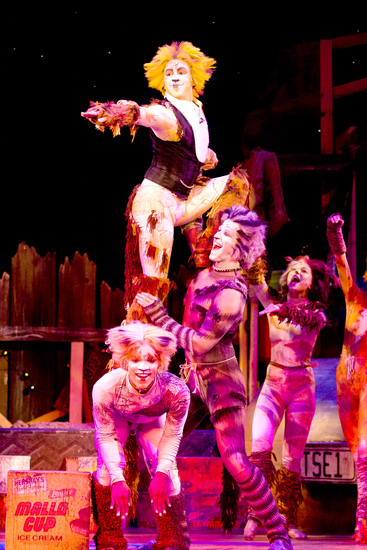 Regional credits include the the national tour of Cats (Cassandra), Radio City Christmas Spectacular (Rockette), Can-Can at Westchester Broadway Theatre (Marie), and Camelot and Spamalot at Theatre Under The Stars (Ensemble). 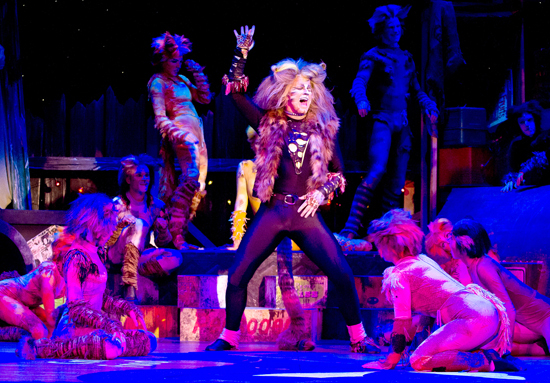 Many thanks to Richard Stafford, the jellicle genious that he is, and to my family, friends, fellow cast mates, and crew. Hillary Porter (Rumpleteazer) is beyond excited to be back in the Jellicle Junkyard for her Theatre by the Sea debut! Overjoyed to be reprising her dream role, she was last seen playing Rumpleteazer in the National Tour of Cats. Originally from Greenville, SC, Hillary holds a B.A. from Clemson University. Favorite Credits: Fiddler on the Roof (Chava), These Shining Lives (Charlotte), RENT (Ensemble, Maureen u/s), and Hello, Dolly! (Ermengarde). Endless love to those who have constantly supported me on my journey. Thank you Richard Stafford, and to my Mom, Dad, and Megan! Arnie Rodriguez (Skimbleshanks) is honored to be with Theatre By The Sea this summer. He is currently pursuing a BFA in musical theatre at The Boston Conservatory. Favorite credits include: CLUBLAND: The Monster Pop Party at A.R.T's Club Oberon and West Side Story. Many thanks to his beautiful support team: Mom, Dad, Veronica, Blake, Yael, Andrew, and a special thanks to Kevin P. Hill for this amazing opportunity! Jenna Nicole Schoen (Tantomile) is thrilled to be performing at Theatre by the Sea this summer. Recent credits include: Elegies for Angels, Punks and Raging Queens (Angela), Legally Blonde (Brooke Wyndham), Jesus Christ Superstar (Ensemble). NYC Premiere of Le Cabaret Grimm (NYMF). She can also be seen this summer as Anne in La Cage Aux Folles. Rising Senior at The Boston Conservatory. Thank you to everyone at TBTS for this incredible opportunity. Love to my family and friends for their endless support. Alex Swift (Coricopat) is a Rising Junior at the Boston Conservatory and is thrilled to be working at Theatre By The Sea this summer! Recent credits include, Thoroughly Modern Millie (TBC), The Apple Tree (TBC), and Emma: A New Musical (Waterwell Productions), He has also been seen in the Off-Broadway productions of The Reading of The Wise Man and A Very Merry....Pageant (New York Theatre Workshop). Thanks to his Grandmother for all of her love and support! Brad Trump (Tumblebrutus) attended the Lincoln Park Performing Charter School and continued his higher education in dance at Point Park University and the Joffrey Ballet School (NYC). 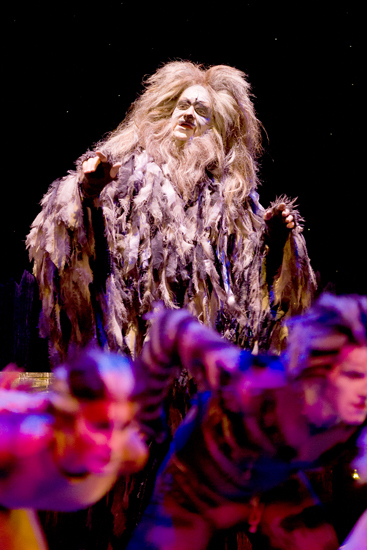 He portrayed the role of Tumblebrutus in the 30th Anniversary National tour of Cats and is honored to be fulfilling the role at NSMT. 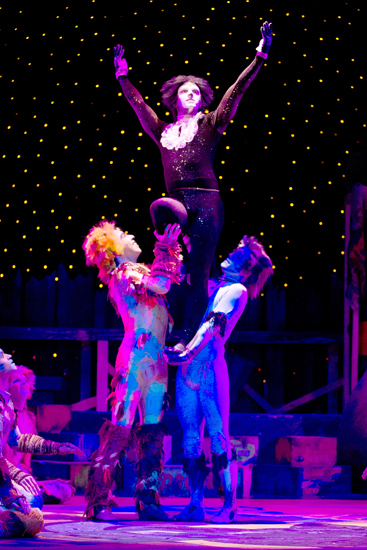 His regional performance credits include Joseph and the Amazing Technicolor Dreamcoat (Benjamin) and Oklahoma (Corky). In addition, Brad recently appeared in the ABC Family Movie-Musical, Lovestruck! The Musical.